Moreton Bay is a wild and an amazing place with its waters fed by the Brisbane River and the estuaries from the north and south. It is home to some of Australia's well known species including the bottle-nose dolphin, Moreton Bay bugs, and the Dugong. Its eastern side is bordered by Moreton Island which contains the tallest coastal sand dune in the world (Mount Tempest) and is mostly National Park. When staying at Tangalooma try walking to Mount Tempest summit which should take you a full day's hike. At the top of the 280m elevation you will get a 360-degree view of the island. On a clear day you will be able to see the Glass House Mountains in the distance. At the end of the day you can make use of your beachfront Moreton Island Villa and watch the sun set over the water. 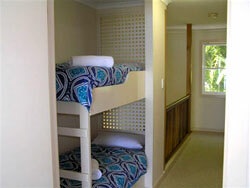 Each Moreton Island Villa has 2 bedrooms. One of the bedrooms has a queen bed and balcony, the other bedroom contains 2 single beds which is a double bunk and full bathroom. All of our villas have a self contained kitchen, TV, DVD, and lounge area, microwave, a second toilet, a laundry with a washing machine, bunk bed for another 2 people to sleep, and a BBQ with exterior decking and outdoor furniture. 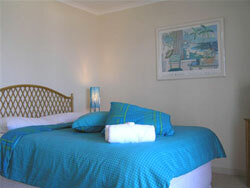 Our villas will allow you to have restful sleep ins while listening to the pleasant sound of crashing waves. Watch as a clan of dolphins swim by and chase the fish in the gutters.